Happy Monday Foodies! 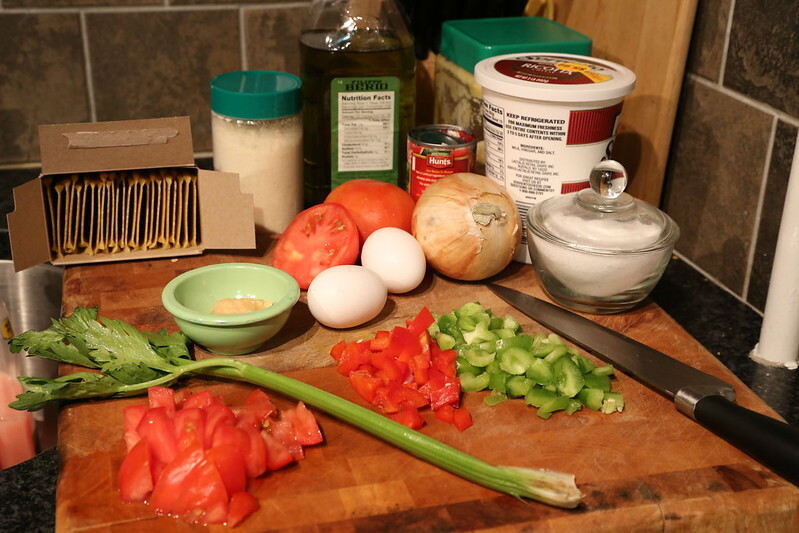 Upon your request, here is my lasagna recipe. This recipe serves 12 people. Enjoy! 1. In a large pot of salted water on the stovetop on high heat. 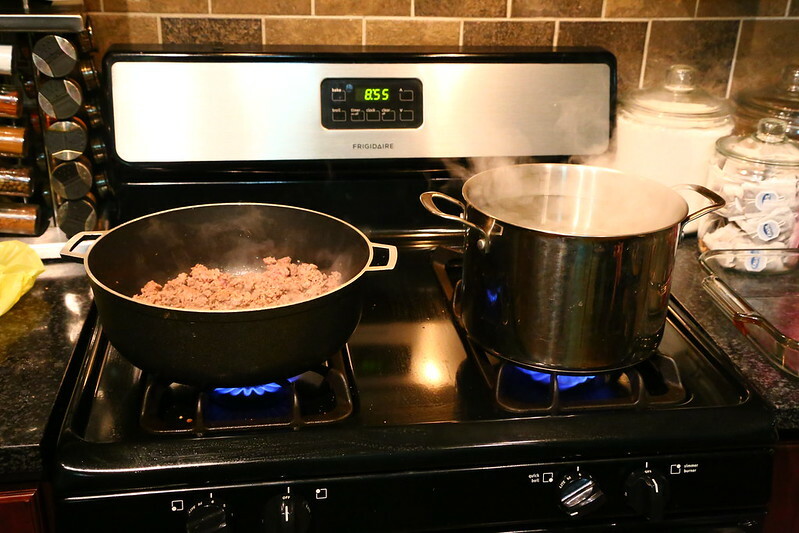 The reason why we are doing this step first, is because it can take a while for a large pot of water to boil. After it has boiled, cook pasta as directed on the box. Once done, drain and coat with olive oil to prevent from sticking. 2. Heat 2 teaspoons of olive oil in a large skillet or pot on medium high heat. 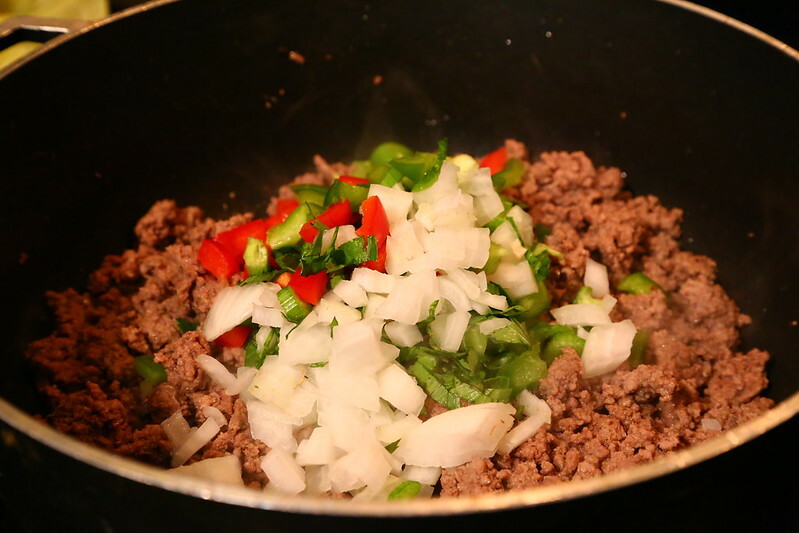 Add the lean ground beef and cook it until brown and cooked through. 3. 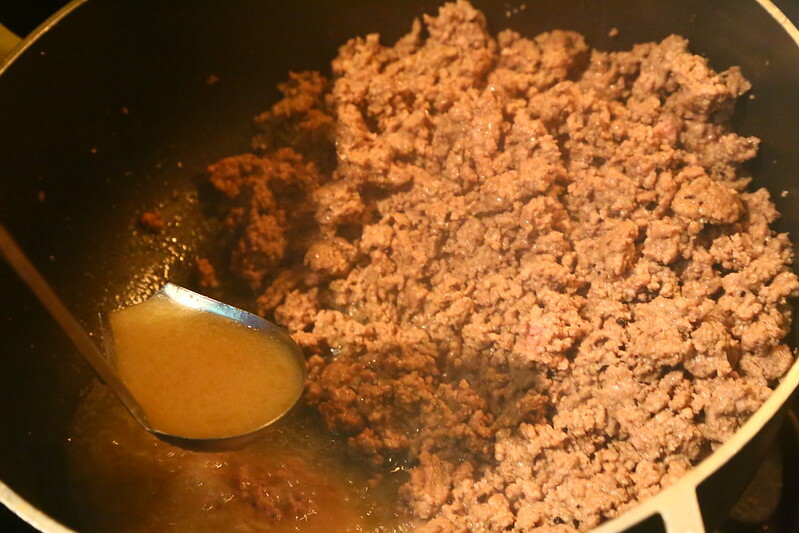 After beef has browned take a soup spoon and remove the excess fat. 4. In the skillet add peppers, onions, garlic, tomatoes, celery, oregano, tomato sauce, tomato paste, 1 teaspoon of salt and pepper to taste. Stir to mix. 4. 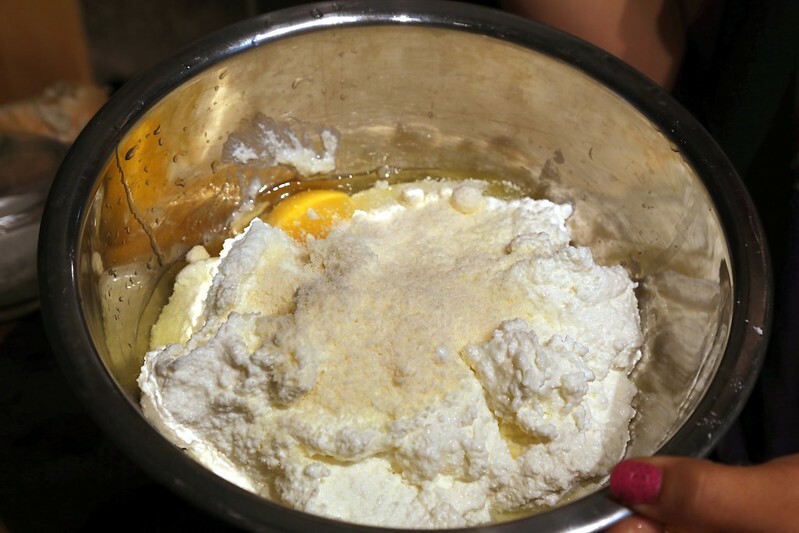 In a separate bowl, add the ricotta cheese, parmesan cheese and eggs. Mix until everything is smooth and combined. 5. 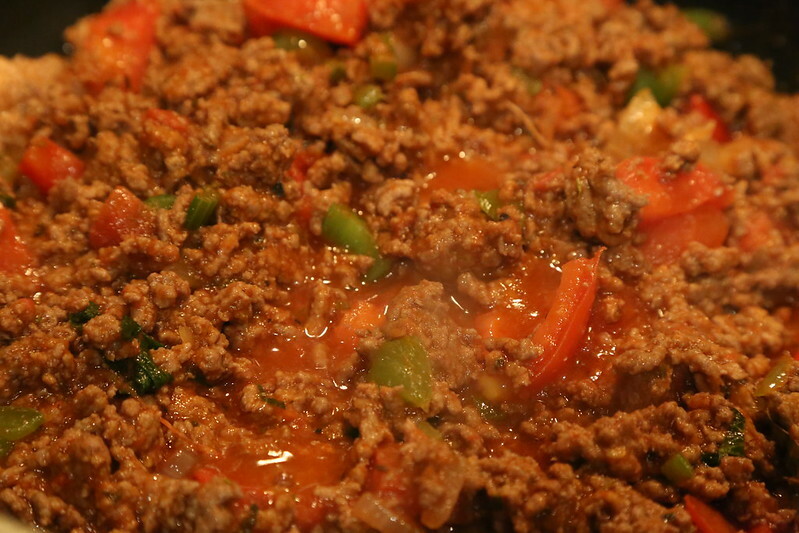 Bring the sauce to a simmer and lower the heat to maintain a low simmer. Cook for 30-45 minutes to thicken (stir frequently). 6. Now we are going to start layering. I like to start with a spoonful of sauce at the bottom of the dish to prevent the pasta from sticking. Then I add 4 pasta noodles over our meat sauce. 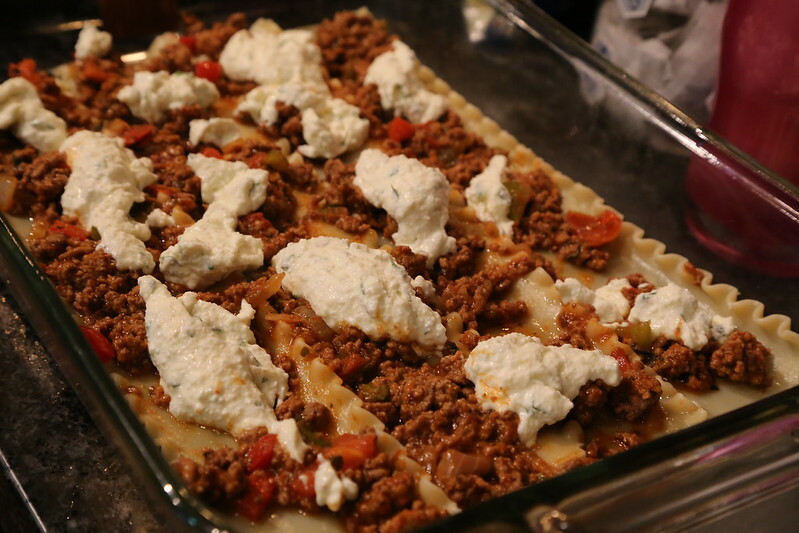 Then add meat sauce again, ricotta cheese and mozzarella cheese. Repeat till you get to the top. 7. I like my last layer to be ricotta and mozzarella. This will give you the perfect cheesy crust on top. 8. 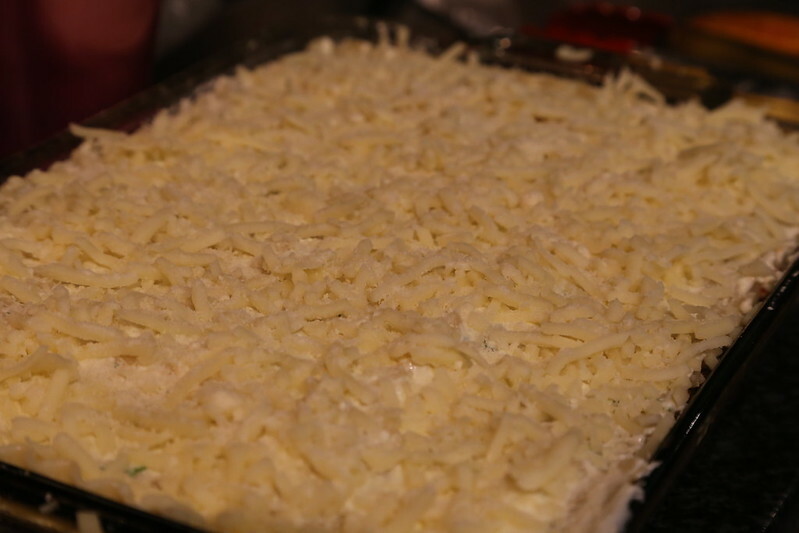 Cover with aluminum foil (making sure it does not touch the cheese). Bake 375°F for 45 minutes. Optional- Remove foil paper and turn on broiler on high for 2 minutes until golden brown on the edges. Did you like this recipe? Would you like to see more? click HERE. Enjoy your week Trenders. Nice recipe - the link I came from Foodie.com mentioned this was a "one pot" lasagna, but I knew from the pic that was impossible. So I came to check it out. Yep....three pots. 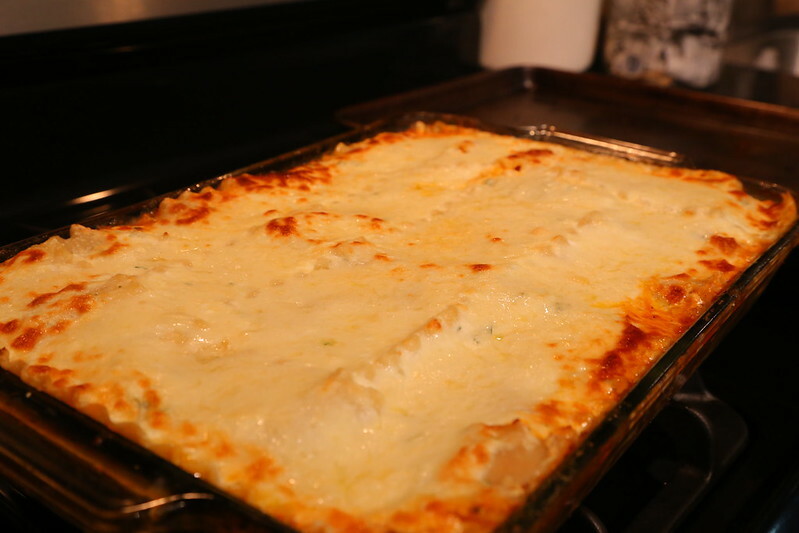 Still a very nice recipe - standard lasagna fare, but looks delicious. Mangia!